Meeting the Kenyan bishops April 16 during their “ad limina” visits to the Vatican, the pope urged the bishops to step up efforts with other Christians and other faiths to promote peace, dialogue and justice. “In this way you will be able to offer a more unified and courageous denunciation of all violence, especially that committed in the name of God,” he said a written message to the bishops. 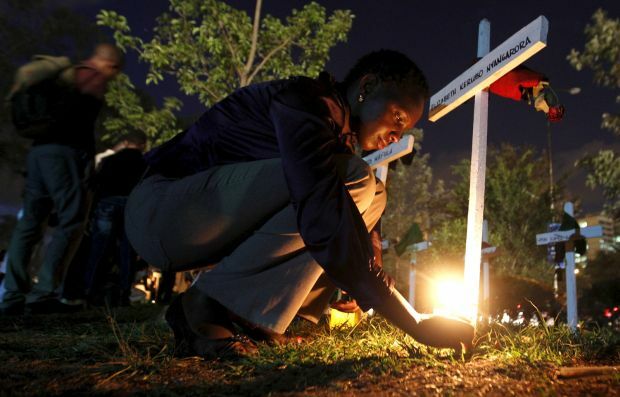 The bishops’ meeting at the Vatican to report on the state of their dioceses came just two weeks after an attack by the Somalia-based al-Shabab militants on Garissa University College left nearly 150 people dead. Coadjutor Bishop Joseph Alessandro of Garissa said the university is so close to the cathedral that “I could hear everything: the gunshots, the ambulances, the police, the military,” and everyone rushing the victims to the hospital right in front of the cathedral. The attack April 2, Holy Thursday, led to heightened security and people being told to stay at home during Holy Week, he said. One Mass was canceled and very few people turned up for liturgies the rest of the week. “But on Easter Sunday, it was a surprise even for me because the cathedral was full,” he said, with many parents bringing their babies and other children for baptism. With help from the U.S. Conference of Catholic Bishops, Bishop Alessandro said they launched a project of face-to-face discussions with influential Muslim and Christian religious leaders to share insights and find solutions when trouble seemed to be brewing. Christian and Muslim women also have come together, he said, and, in one instance, successfully kept government officials accountable. The women found out “there was going to be a clash between two clans,” he said, and they “went to the governor and the council office telling them what was being planned and they kept them responsible if something happened.” The government officials called in the clan leaders and “managed to calm down the situation” before anything happened. Archbishop Martin Kivuva Musonde of Mombasa, told CNS that in the wake of the attacks, the Kenyan bishops “quickly pulled together” leaders of the Muslim, Protestant and Catholic communities to see what could be done and urge them to denounce the atrocities. Archbishop Kivuva said Pope Francis expressed his great sorrow over the killings and said he was praying that those who cause so much fear and insecurity would have a change of heart. He said the pope encouraged them in their task of bringing hope to a troubled world and in reaching out to those who suffer in different ways. The pope, in his written message said Kenya’s bishops need to stand united before the country’s leaders and promote moral principles and the common good. “The church must take a prophetic stand in defense of the poor and against all corruption and abuse of power. She must do so, in the first place, by example. Do not be afraid to be a prophetic voice,” the pope’s message said. Young people are always a source of hope, he said, because they are open to seeing other people in a positive light, interacting positively with other people and building for the future.